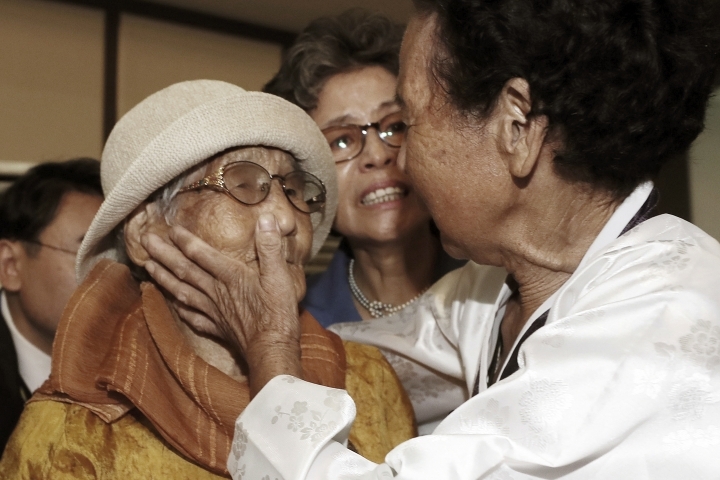 SEOUL, South Korea — Elderly North and South Koreans wept and embraced each other on Friday at the beginning of a second round of temporary reunions of family members separated for decades by the Korean War. 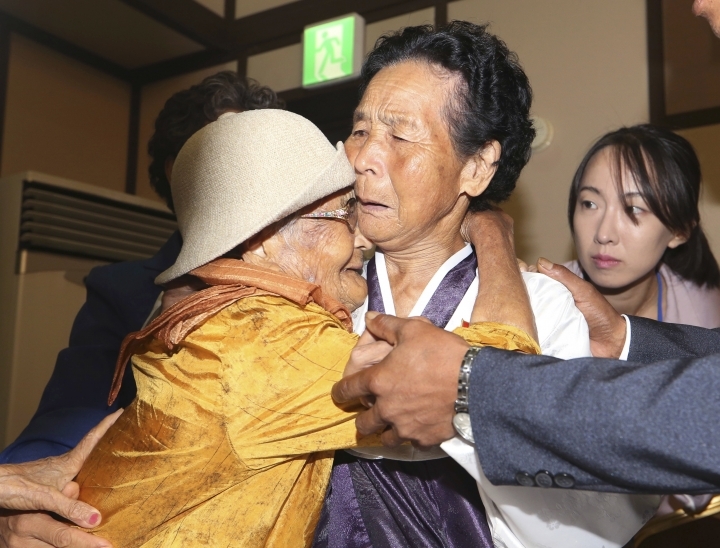 During Friday's meetings, Kang Jong Hwa, an 85-year-old North Korean woman wearing a traditional hanbok dress, sobbed while touching the face of her 100-year-old sister from South Korea. "I cannot believe this," Kang said. Two silver-haired brothers in their 80s also wept while surrounded by other relatives, while others asked each other about their lives in a rush of emotions. "Thank you for being alive," Wu Ki-ju, a 79-year-old South Korean woman, said after seeing her 86-year-old North Korean sister in a wheelchair. Participants in the latest reunions are to part again on Sunday, likely for good. 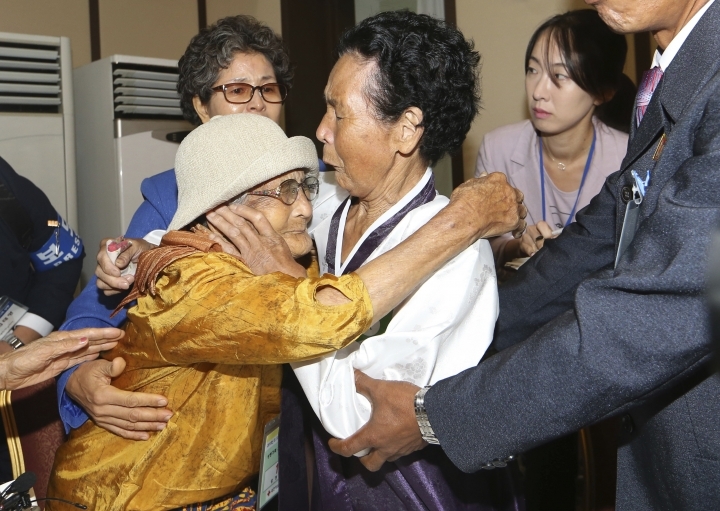 The two Koreas occasionally allow elderly people to reunite with loved ones on the other side of the border, but none has been given a second chance to meet. The previous family reunions were in 2015. The separated families are a bitter reminder of the division of the Koreas, which were once a single country. The Korean Peninsula remains in a technical state of war because the 1950-53 Korean War ended with an armistice, not a peace treaty. South Korea wants to expand the family reunions, but experts say North Korea is reluctant to do so because of worries that increasing their frequency will loosen its authoritarian control and cause it to relinquish a coveted bargaining chip in negotiations with the South. This week's reunions were arranged as the rival Koreas take various steps aimed at improving ties amid diplomatic efforts to end the stalemate over North Korea's nuclear program.